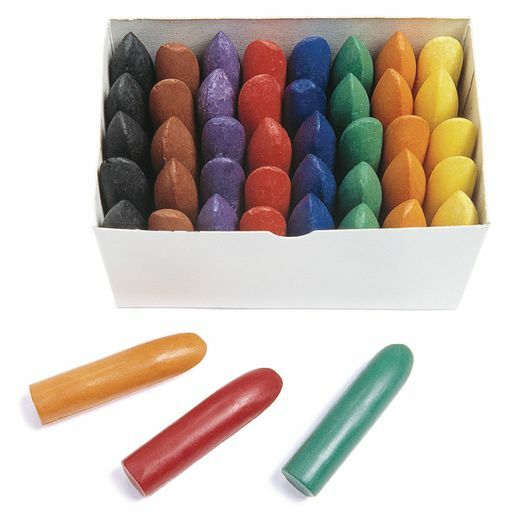 Made out of a durable wax, these high-quality crayons are large (2 1/4"L x 1/2" diameter) for easy-to-hold control by young children. 40 crayons, 5 each of colors shown. Non-toxic.